100 must-know architecture books, presented in chronological order ― from Vitruvius to Koolhaas. This list is curated (not based on awards, syllabuses, sales, algorithms, or some other way of generating a list) and therefore leans to the types of books I like and am familiar with: history, theory, urbanism, modern architecture, the occasional monograph, and canonical works that are musts even if I haven't read them in their entirety. I'll admit this "reading list" of books in English has a strong Western bent, but that should change over time as my judgment and exposure to these and other books evolve. In other words, this list is fluid not static; if you have a suggestion or think I omitted something please email me. Covers link to Amazon, while title links point to reviews or relevant posts I've written on the books; hopefully all titles will eventually have links. Ten Books on Architecture by Marcus Vitruvius Pollio. The first known architectural (plus military) treatise, written in the first century BC (as De architectura) and first translated into English in 1692. On the Art of Building in Ten Books by Leon Battista Alberti. The classic Renaissance treatise was written in Latin ca. 1450 (as De re aedificatoria) though not translated into English until 1988. The Four Books of Architecture by Andrea Palladio. A classic treatise by one of the most important architects, published in 1570 (as I quattro libri dell'architettura) and translated from Italian into English ca. 1720. The Seven Lamps of Architecture by John Ruskin. First published in 1849, the seven "lamps" argue for the Gothic as the most truthful architectural style. The Four Elements of Architecture by Gottfried Semper. Published in German in 1851, Semper's book on the origins of architecture gained influence in academia when it was translated into English in 1989. City Planning According to Artistic Principles by Camillo Sitte. First published in Austria in 1889, Sitte's critique of modern city planning was translated into English in 1965. A History of Architecture on the Comparative Method by Sir Banister Fletcher. The standard architectural history for students of architecture, first published in 1895 and updated umpteen times since. Plan of Chicago by Daniel H. Burnham and Edward H. Bennett. Though only small portions of it were implemented, Burnham and Bennett's 1909 urban plan was influential well beyond Chicago. Towards a New Architecture by Le Corbusier. Published in French in 1923 (as Vers une Architecture), Corbu's trailblazing polemic was translated into English in 1927. The City of To-morrow and Its Planning by Le Corbusier. First published in French in 1925 (as Urbanisme) and then translated into English in 1929, this is the text often blamed for the prevalence of "towers in the park" housing and their ills in the latter half of the 20th century. Le Corbusier: Oeuvre Complète by Le Corbusier. The model for "complete works" monographs that followed, it was first published in 1929 and completed as eight volumes in 1970. Reprinted by Birkhäuser in the 1990s in French, English, and German. The International Style by Henry-Russell Hitchcock and Philip Johnson. The companion to the 1932 MoMA exhibition established modern architecture as a style over the movement's social grounds. In Praise of Shadows by Jun'ichirō Tanizaki. Although not entirely about architecture, this classic about Japanese aesthetics has some of the most revealing words about light and space in Japanese architecture. Published in 1933, it was translated into English in 1977. Frank Lloyd Wright: An Autobiography by Frank Lloyd Wright. First published in 1932, Wright would expand his wordy autobiography into five "books" again in 1943. Kindergarten Chats and Other Writings by Louis Sullivan. Written as a series of magazine articles in which a teacher (Sullivan) "chats" with a student, the collection wasn't published until 1934, ten years after his death. The New Architecture and The Bauhaus by Walter Gropius. Published in 1935, two years after the Bauhaus he founded had shuttered, Gropius's book was translated into English in 1965. Gardens in the Modern Landscape by Christopher Tunnard. First published in 1938, Tunnard's argument for the "functional garden" was revised in 1948, the version most readily available today. Space, Time and Architecture by Sigfried Giedion. The influential argument for modern architecture was first published in 1941 and has been updated four times since. An Outline of European Architecture by Nikolaus Pevsner. Known for his guides to British buildings, this survey of European architecture through the ages was published in 1942. American Building: The Forces That Shape It by James Marston Fitch. 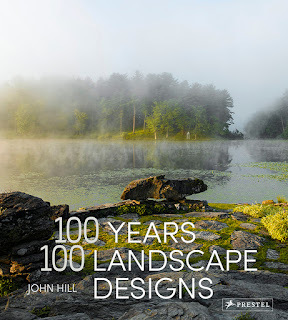 This important book situated buildings int their natural contexts. First published in 1947, a second volume added in 1987, and then the first edition was updated in 1999, one year before Fitch's death. Architecture As Space by Bruno Zevi. First published in Italian in 1948 (as Saper Vedere L'Architettura), Zevi's influential argument for thinking about space was translated into English in 1957. The Modulor by Le Corbusier. One of the most influential 20th-century architects had the gumption to devise a "unified scale of measurement" in 1948 and then expand it with Modulor 2 in 1955. The Search for Form in Art and Architecture by Eliel Saarinen. Published in 1948, his last year as director of the Cranbrook Academy of Art, the book summarizes his view of the interrelated nature of art, design, and architecture. Architectural Principles in the Age of Humanism by Rudolph Wittkower. An influential study, published in 1949, of proportional systems in Renaissance architecture. Survival Through Design by Richard Joseph Neutra. A "loose and yet linked cycle of writings collected over almost a lifetime" that finds Neutra arguing for design with a biological basis. Published in 1954. Experiencing Architecture by Steen Eiler Rasmussen. A staple of introductory classes in architecture schools, the book was first published in Danish in 1957 and then was released in English two years later. The Poetics of Space by Gaston Bachelard. First published in French in 1958 (as La Poétique de l'Espace), the influential phenomenological text was translated into English in 1964. The Image of the City by Kevin Lynch. Lynch's groundbreaking study of Boston and other cities, first published in 1960, established the mental maps people use to orient themselves in space. Theory and Design in the First Machine Age by Reyner Banham. A frustrating read, but one that has remained important in the history of modern architecture. Published in 1960, it was the first of many books by the brilliant Banham. The Australian Ugliness by Robin Boyd. The Australian architect and writer took aim at, obviously, the ugliness of his home country, particularly the suburbs. Coming in 1960, it seems to have predated other critiques of ugly architecture and urbanism. History of Modern Architecture by Leonardo Benevolo. An exhaustive two-volume study of modern architecture first published in Italian in 1960 and then released in English in 1971. The City in History by Lewis Mumford. Mumford's magnum opus, published in 1961, is a sprawling history of humans settling into cities, with some prognostication on the future of cities. Townscape by Gordon Cullen. First published in 1961 and later known as The Concise Townscape, the book laid out the "Townscape" movement aimed at giving visual coherence to the urban environment. The Death and Life of Great American Cities by Jane Jacobs. One of the most influential books of the 20th century in any subject, this 1961 book was a slap in the face of modern urban planning and an embrace of diversity in its many facets. Team 10 Primer by Alison Smithson. CIAM (Congrès Internationaux d'Architecture Moderne) dominated modern urbanism from 1939 to 1959, by which time Team 10 had spun off in a new direction. Their "primer" was first released in 1962 then revised in 1968. The Classical Language of Architecture by John Summerson. A short, clearly written description of the "grammar" of Classical architecture. Published in 1963 and based on a series of lectures Summerson gave on BBC Radio. Community and Privacy: Toward a New Architecture of Humanism by Serge Chermayeff and Christopher Alexander. A book, first published in 1963, with two parts: problems and solutions. The latter is an early instance of incorporating computers into design. Architecture Without Architects: A Short Introduction to Non-pedigreed Architecture by Bernard Rudofsky. Companion to an exhibition at MoMA in 1964, the book is full of images of striking and photogenic vernacular buildings around the world. God's Own Junkyard: The Planned Deterioration of America's Landscape by Peter Blake. Like Boyd in Australia four years earlier, Blake bemoans the cluttering of the urban landscape in the US. Published in 1964. The Chicago School of Architecture by Carl Condit. A classic history, first published in 1964, of the modern tall buildings born in Chicago in the late 19th century. Programs and Manifestoes on 20th-century Architecture edited by Ulrich Conrads. Sixty years of short but important manifestos, from 1903 to 1963. First published in German in 1964 (as Programme und Manifeste zur Architektur des 20. Jahrhunderts) then translated into English in 1971. Changing Ideals in Modern Architecture by Peter Collins. A 200-year (1750-1950) study of the various strands of modern architecture; first published in 1965, a second edition was released in 1998. Intentions in Architecture by Christian Norberg-Schulz. The first book by the esteemed theorist landed in 1965, when Norberg-Schulz moved from practice to teaching and writing. The Architecture of the City by Aldo Rossi. One of the most influential books on urbanism and a staple of architectural education. First published in Italian in 1966 (as L'architettura della città), it was finally translated into English in 1982. Complexity and Contradiction in Architecture by Robert Venturi. The first of the Museum of Modern Art's planned "Papers on Architecture" turned into a canonical text paving the way for Postmodernism. Published in compact form in 1966 and then in a larger format in 1977. Palladio by James Ackerman. The standard text on one of the most important architects of all time. First published in 1966. Design of Cities by Edmund Bacon. A classic text, first published in 1967, on the evolution of urban spaces through history. The numerous illustrations are the most helpful and memorable part of the book. Operating Manual for Spaceship Earth by R. Buckminster Fuller. The book in which the brilliant, though not always readable Bucky Fuller conceptualized earth like a spaceship with finite resources. First published in 1968 but lasting in its relevance. The Architecture of the Well-Tempered Environment by Reyner Banham. Banham charts how architects responded to the incorporation of HVAC, electricity, plumbing and other environmental systems into buildings. Published in 1969, the same year Piano and Rogers designed the Pompidou with its service "guts" on the outside of the building. Architecture for the Poor: An Experiment in Rural Egypt by Hassan Fathy. This influential book published in 1969 documents Fathy's plans for the village of New Gourna in Egypt. At the time it drew attention to simple and sustainable ways of building. Design with Nature by Ian McHarg. An important work that examined landscapes on a regional scale thanks to aerial photography and what became the precursor to GIS technology. First published in 1969 but still in print. House Form and Culture by Amos Rapoport. A complex analysis of the diversity of housing forms, written by an anthropologist in 1969 but applicable to architects as well. Streets for People by Bernard Rudofsky. The subtitle of this 1969 book makes its purpose quite clear: convincing Americans that streets are for people, not cars. Life Between Buildings by Jan Gehl. Gehl's first book was published in Danish in 1971 ( as Livet mellem husene) and then translated into English in 1987; it laid out the basic principles he would expound in his urban design practice and subsequent books. Los Angeles: The Architecture of Four Ecologies by Reyner Banham. A very good argument for the belief that outsiders know a place better than locals: Banham's 1971 study is as enjoyable as it is perceptive. Learning from Las Vegas by Robert Venturi, Denise Scott Brown, and Steven Izenour. The outcome of a Yale architecture studio, this book reoriented how architects view American cities. First edition was published in a large format in 1972 but was revised in a small format five years later; latter has been most common, but the former was reissued this decade. Architecture and Utopia by Manfredo Tafuri. A dense, neo-Marxist argument about the economic and social contradictions of architectural ideology, first published in Italian in 1973 (as Progetto e Utopia) then translated into English a few years later. The Production of Space by Henri Lefebvre. A dense, Marxian philosophical text based on the thesis that space, and the production of it, is of the utmost importance. First published in French in 1974 (as La Production de l'espace), it was translated into English in 1991. Urban Space by Rob Krier. First published in 1975 (as Stadtraum in Theorie und Praxis) and then translated into English in 1979, Krier used numerous drawings to argue for traditional urban spaces over the leftover spaces created by modern planning. The Mathematics of the Ideal Villa and Other Essays by Colin Rowe. A collection of essays by Rowe published in 1976 including the title analysis first released in 1947. Language of Post Modern Architecture by Charles Jencks. Jencks has been a defining voice of Postmodernism in the realm of architecture for decades, at least since the publication of this book's first edition in 1977. A Pattern Language: Towns, Buildings, Construction by Christopher Alexander et. al. A manifesto in the form of a reference book, first published in 1977, that guides architects and clients in how to design based on historical precedents. Collage City by Colin Rowe and Fred Koetter. A difficult yet important text from 1978 that critiqued Modernist urban planning and offered a fragmented, collage approach to designing parts of cities. Delirious New York by Rem Koolhaas. 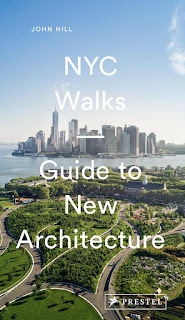 Focusing on Rockefeller Center, Coney Island, the Downtown Atheletic Club, and the 1939 World's Fair, Koolhaas crafted a "Retroactive Manifesto for Manhattan" that enchants well after its 1978 publication. Architecture: Form, Space, and Order by Francis D.K. Ching. A staple of introductory studios in architecture school (among other Ching titles), this book has been updated a few times since its original hand-drawn and hand-lettered publication in 1979. The Aesthetics of Architecture by Roger Scruton. The philosopher's conservative leanings are in evidence in this 1980 book, but his application of philosophical logic to architecture makes it an important book. Modern Architecture: A Critical History by Kenneth Frampton. A classic and staple of modern architecture history classes since its publication in 1980, it has been updated three times since, with a fifth edition in the works according to Frampton. The Social Life of Small Urban Spaces by William H. Whyte. The classic 1980 study in which Whyte trained time-lapse cameras on New York City public spaces to see how people respond to them and how designers could make them better. From Bauhaus to Our House by Tom Wolfe. The white-suited author set his critical sights on modern architecture, particularly ugly modern buildings and the words espoused by architects to justify them. First published in 1981, when most of it appeared in Harper's. The Manhattan Transcripts by Bernard Tschumi. Coming in 1981, Tschumi's project about disjunctions between form and function takes the form of drawings, notations. In turn it encapsulates the previous decade's "paper architecture." Modern Architecture Since 1900 by William J.R. Curtis. A comprehensive history of architecture in the 20th century, well suited for architectural history classes. First published in 1982 and updated a couple times since. Mies van der Rohe: A Critical Biography by Franz Schulze. Mies wasn't one for writing, so this 1985 biography, updated in 2014, is a necessary inclusion for one of the three 20th-century masters (the others being Wright and Corbu, who both wrote plenty). For an Architecture of Reality by Michael Benedikt. A short, strongly worded polemic, published in 1987, arguing for the quality of "realness" in architecture. The Making of a Modern Japanese Architecture by David B. Stewart. A thorough, scholarly history of modern architecture in Japan from the Meiji period to Kazuo Shinohara and Arata Isozaki in the 1980s. Published in 1987. Cities of Tomorrow: An Intellectual History of Urban Planning and Design in the Twentieth Century by Peter Hall. Hall's critical history of planning in theory and practice is a staple in classes focused on the city. First published in 1988 but now in its fourth edition. The Details of Modern Architecture by Edward R. Ford. "God is in the details" is an oft-repeated phrase attributed to Mies. But what are details and how are they drawn? Ford has devoted himself to answering those and other questions. First published in 1990 and then expanded to a second volume. The City Shaped by Spiro Kostof. Kostof wrote quite a few books on the history of architecture and cities. This 1991 title is the best of them. Louis I. Kahn: In the Realm of Architecture by David Brownlee and David De Long. Kahn was one of the greatest architects of the 20th century, and this 1991 companion to a retrospective exhibition is the best book about him and his buildings. Lessons for Students in Architecture by Herman Hertzberger. Like the title says, the Dutch architect offers advice for students culled from his own buildings. The book has been updated six times since its initial 1991 publication. City of Collective Memory by M. Christine Boyer. One of the most intriguing titles in any genre, this book analyzes how imagery from historical periods infused development in the decades before its 1994 publication. How Buildings Learn by Stewart Brand. The creator of The Whole Earth Catalog set his sight on the evolution of buildings over time with a visually rich presentation of modest architecture. Published in 1994, the book is also a strong argument for sustainability. Privacy and Publicity by Beatriz Colomina. An investigation into the role of mass media in the creation of the modern movement. This 1994 book focuses on Adolf Loos and Le Corbusier. Form Follows Finance by Carol Willis An excellent study of how skyscrapers developed differently in New York and Chicago in the late 1800s and early 1900s. Published in 1995, two years before Willis founded the Skyscraper Museum. The Projective Cast by Robin Evans. The brilliant Evans died in 1993 at the age of only 48. This book he was finishing at the time, with deep insights about architecture and its representation, was released in 1995. S,M,L,XL by Rem Koolhaas and Bruce Mau. This influential 1995 monograph – a mix of projects and writings – was responsible for supersizing many subsequent monographs and raising their level of graphic design. Studies in Tectonic Culture by Kenneth Frampton. Frampton's argument, published in 1995, for the importance of tectonics – the construction of buildings and of culture – in the production of architecture. The Eyes of the Skin by Juhani Pallasmaa. In this classic essay, first published in 1996, the Finnish architect and teacher argues for considering all of the body's senses, not just the visual as it dominates architectural design. Theorizing a New Agenda for Architecture: An Anthology of Architectural Theory 1965 - 1995 edited by Kate Nesbitt. The three decades covered by this 1996 book were a weird time for architectural theory, when embraced outside fields and became indecipherable at times; this collection strove to make sense of that era. Rethinking Architecture: A Reader in Cultural Theory edited by Neil Leach. Published in 1997, a great sourcebook of writings by Baudrillard, Benjamin, Derrida, Heidegger, Virilio and other intellectuals frequently cited by architects in the 1990s. Thinking Architecture by Peter Zumthor. A blueprint of sorts for creating timeless architecture, the Swiss architect's small manifesto from 1998 was valued for its scarcity as much as its message, but it's been expanded and reissued a couple times since. Suburban Nation: The Rise of Sprawl and the Decline of the American Dream by Andres Duany, Elizabeth Plater-Zyberk and Jeff Speck. A critique of cul-de-sac suburbs and offering up of alternatives, this 2000 book by the founders of New Urbanism is the best of the books around the movement. Words and Buildings by Adrian Forty. How modern architects used words – not just drawings and actual buildings – to theorize new ways of envisioning architecture is the subject of this excellent book from 2000. Cradle to Cradle: Remaking the Way We Make Things by Michael Braungart and William McDonough. An architect and a chemist argue for closed-loop designing of goods over the prevalent cradle-to-grave or "downcycled" approach. Published in 2002, when sustainability was on the rise. The Architecture of Happiness by Alain de Botton. Easily the most read and discussed book on architecture this century, this 2006 title argues for buildings that enrich humanity, be they traditional or contemporary. 101 Things I Learned in Architecture School by Matthew Frederick. The sketchbook-like book geared to students entering architecture school, published in 2007, became so popular it spun off a whole series of "101 Things I Learned" books for students of engineering, law, and other degrees. The Endless City by Ricky Burdett and Deyan Sudjic. Published in 2007, this is the first of a series of ambitious, data-rich books arising from the Urban Age conferences organized by the LSE and Deutsche Bank's Alfred Herrhausen Society. Yes Is More by Bjarke Ingels. The staid monograph was enlivened by this "popular cultural manifesto" in the form of an "archicomic" that could only work for Bjarke Ingels, who became the "it" architect after its 2009 publication. Elements of Architecture by Rem Koolhaas. One section of Rem Koolhaas's Venice Architecture Biennale in 2014 focused entirely on the basic elements of buildings, such as walls, roofs, and even toilets. Published as fifteen individual books in a slipcase at the time of the Biennale, it was reworked with Irma Boom as a single 2,600-page bound volume in 2018. Forensic Architecture by Eyal Weizman. Part monograph of Weizman's Turner Prize-nominated Forensic Architecture, this handsome 2017 book is also a manifesto for the expanded role of architects as agents in the service of human rights and social justice. Four Walls and a Roof by Reinier de Graaf. A surprisingly good (de Graaf has said he's a poor writer, but I disagree) and diverse collection of essays put together in 2017, all of them aiming to dismantle long-held myths within architecture.